Through crackling, jarring scuzz and fuzz, Swell Maps’ two LPs – 1979’s A Trip to Marineville and Jane from Occupied Europe a year later – cut through krautrock, post punk, art punk and ambient noise in their short-lived existence. Born out of suburban boredom, teenage brothers Nikki Sudden and Epic Soundtracks founded Swell Maps in Solihull in 1972, but only properly formed after the 1977 release of their juddering debut single ‘Read About Seymour’. Embodying the DIY spirit of the age, the track is messy, disjointed and chaotic, the guitar lines fall over one another in tandem with the tuneless vocals that provided a statement of intent from the brothers and their new bandmates, one that would follow into their full-length LPs. Their next standout single, ‘Lets Build a Car’ more directly channels their contemporaries; straightforward riffs echoing the Ramones, instrumentation akin to Germs’ ‘Lexicon Devil’, and gargled lyrics provide a punk staple. With these singles in their arsenal, Swell Maps buried them within their two sprawling masterpieces, plunged into a dense and brilliant context, amongst rock ballad, jangling art-punk and sparse industrial pieces. Both standing at 22 tracks and a run time of an hour, Swell Maps’ two albums envelop the listener in a soundscape previously unheard, fusing experimental instrumentals filled with harsh piano chords and feedback, with surf rock tracks seemingly found in the gutter. The sounds within the songs are in a constant battle with one another, melody is hidden beneath the grit of grating guitar, choruses appear from the depths of abrasive noise, before disappearing again as the tracks become looser and freer. Nikki Sudden’s guitar slices through the dirty, low-fi feedback, alongside the constantly pushing drums; their music is relentlessly inventive, without losing focus. The debut, A Trip to Marineville is a white knuckle, violent introduction to Swell Maps. They do not waste any time, the opener of ‘H.S. Art’ boasts driving punk rock, staccato keys and an almost catchy chorus, whilst the brilliant ‘Full Moon in my Pocket’ shows the band wearing their influences on their sleeve, placing surreal lyrics onto a Can backbone. In stark contrast, the album contains the haunting ‘Gunboats’, which slowly builds to a crescendo of improvisational sound over its eight minutes, along with ‘Adventure into Basketry’ – an experimental opus acting as the centrepiece of the album. Months later, the band released Jane from Occupied Europe, a less exhilarating listen than its predecessor, but still retaining an industrial menace, showing Swell Maps subtract from their music without losing impact. The album includes ‘Lets Buy a Bridge’, alongside the constant groove of ‘Secret Island’, which slowly unravels as the record moves on, after the restricted surf drums of ‘Robot Factory’. The echoing keys and indistinguishable noises that recur maintain the tone of a truly original project. Shortly after the release of Jane from Occupied Europe, the band split during a tour of Italy, assigning Swell Maps to history, and leaving a legacy of consistent moments of ahead-of-its-time brilliance. At the core, Swell Maps created great songs that pushed the boundary of what albums could sound like, leaving an immeasurable impact on the future of western guitar music. These albums provided a wealth of material for future innovation among post punk bands such as Sonic Youth, Pavement, Nirvana and Stereolab, even reaching the contemporary stylings of Parquet Courts. 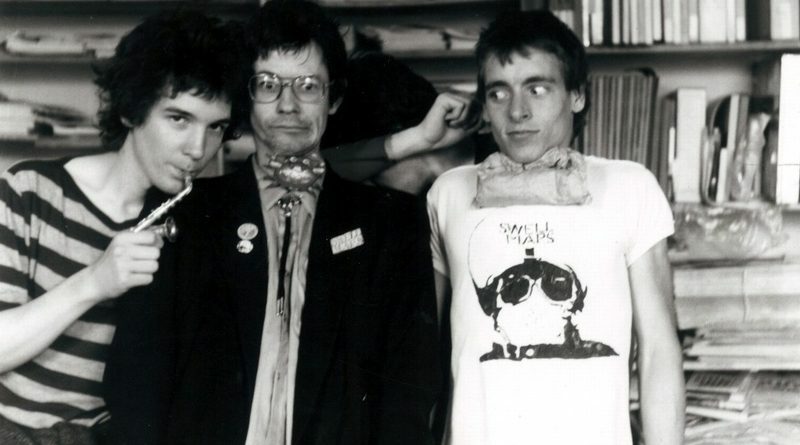 Swell Maps took the abrasive genius of Can, harnessed the pent-up aggression that comes with living in Solihull, and utilised punk ethic to create music far beyond their time. They demand a relisten, some tracks last less than a minute and others creep closer to 10, every note and noise is disquietingly perfect. 3rd Year student at the University of Birmingham with vague ambitions and sharp opinions.